Now that this issue is available I can show you more detailed pictures of the Brit Print Girl medallion that I exhibited at Quilt and Stitch Village :) For this version of the quilt I scaled down the block sizes and added an extra 2 borders, one of half square triangles and another solid frame. This one finished up around 42" square. 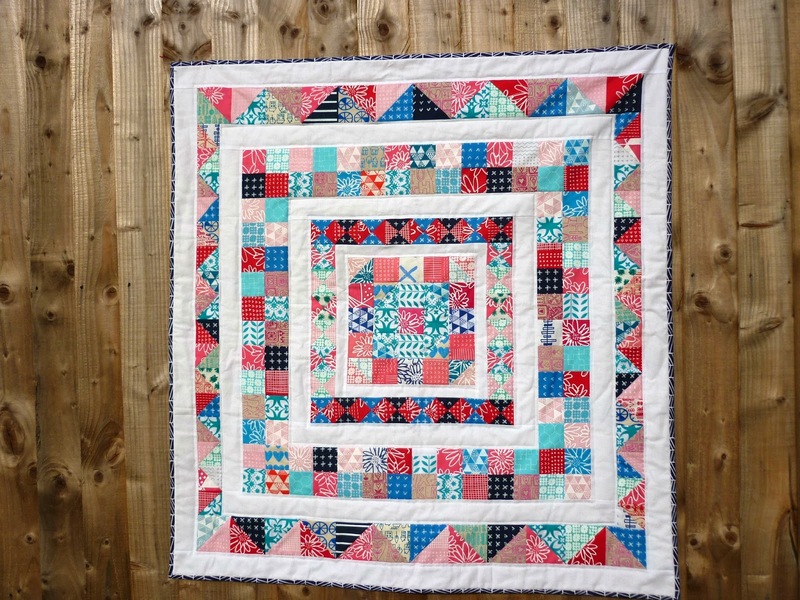 All prints used in this quilt (except the binding which is Joel Dewberry) are screen printed here in Blighty by the crazily talented gals Karen Lewis, Lu Summers and Leanne Fanny. Having seen this in person I know it is beautiful. Oh I love the girls! !